Selling a car with a bad transmission car is hard. Finding a buyer for a broken-down car can take a lot of time, and, often, you’ll only get lowball offers from people looking for a steal. Car dealers will not allow you to trade in a not-running car. They wouldn’t even know how to price it correctly! Find out How much for you can get for a car with Bad Transmission? Freephone: 0800 22 4000 or Get An Offer! That’s what we do! We have over a decade of experience in buying cars regardless of their condition. Rather than take the low offers from scrapyards near you, you can get a fair price for your car in as-is condition right now. Click here to get the value of your vehicle as-is. The process is quick and easy! There are no-obligation and instant cash offer for your vehicle. Get Started: Freephone 0800 22 4000 or Get Online Cash Offer! Here at Cash for Car NZ, we specialize in buying cars regardless of their condition, running or not. Based on your vehicle details and location we will give you the best, no-obligation offer for your vehicle, no matter the condition. Don’t fix it. Sell it. Maximize your time and money by selling your car to us. We’ll give you a guaranteed offer for your car, FAST! 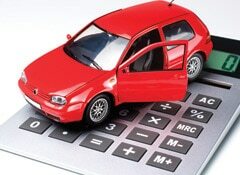 Why should I sell my car to Cash for Car NZ? We understand the value of your car regardless of the condition. We have over a decade of experience in the automotive industry. No-Obligation Cash Offer on Your Car! 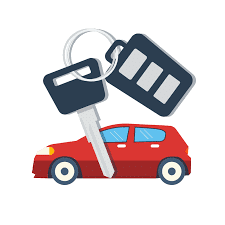 In most cases same-day removal of your vehicle. We tow your car for FREE! You get the money for the car that you no longer use. A transmission repair or replacement can easily exceed your vehicle’s value, so it may not be worthwhile to repair it at all. Whether you’re selling a car or selling your truck, it is often not cost effective. Luckily, you have another option. You can sell your car to us as it is, without the inconvenience or out-of-pocket expense for its repair. We’ll make you a free no-obligation offer on your car based on its year, make, model, and condition. We’ll take it away for free and pay you for your car on the spot. Get a no-obligation cash offer from us today. Bad transmission… Those are two of the worst words you can hear when referring to your car. Bad transmission, slipping transmission, has blown transmission, bad clutch. All of those means money and lots of it. When your car is showing signs of a bad transmission, it’s important to research your options. If you have a manual transmission, usually a bad transmission means you need a new clutch. Clutch replacements can cost anywhere from several hundred to over $2000, depending on the year, make and model. High-performance cars and heavy-duty trucks clutch replacements will likely cost more than your average compact economy sedan. The cost to fix a bad automatic transmission is much higher than that of a manual transmission. Simple automatic transmissions will be the least expensive to fix, with complex CVT and dual-clutch, paddle-shifting gearboxes running far more costly. When it comes to automatic transmission repair, you have three options: (i) Replace it with a new transmission. (ii) Have the transmission rebuilt. (iii) Replace it with a used transmission. Used transmissions will be the least expensive but riskiest route to take, as you can never be sure how well the used gearbox will work. Cost-wise, a new transmission will likely be the most expensive, costing several thousand dollars. A complete transmission overhaul and rebuild can be a bit cheaper than replacing with new, but you’re still potentially looking at anywhere from $1000 to up to $5000. Is Repairing a Bad Transmission Your Best Option? Sometimes the repair isn’t necessarily the way to go. Cash for Car NZ will buy your car, truck, van or SUV even with a bad transmission. We’ll make you an offer for your broken-down, salvage, scrap or mechanically malfunctioning car based on its current market value. Because repair isn’t always the best option, sell your car to Cash for Car NZ where we buy cars regardless of their condition, nationwide. Sell Your Car With Bad Transmission – Freephone: 0800 22 4000 or Get Cash Offer!